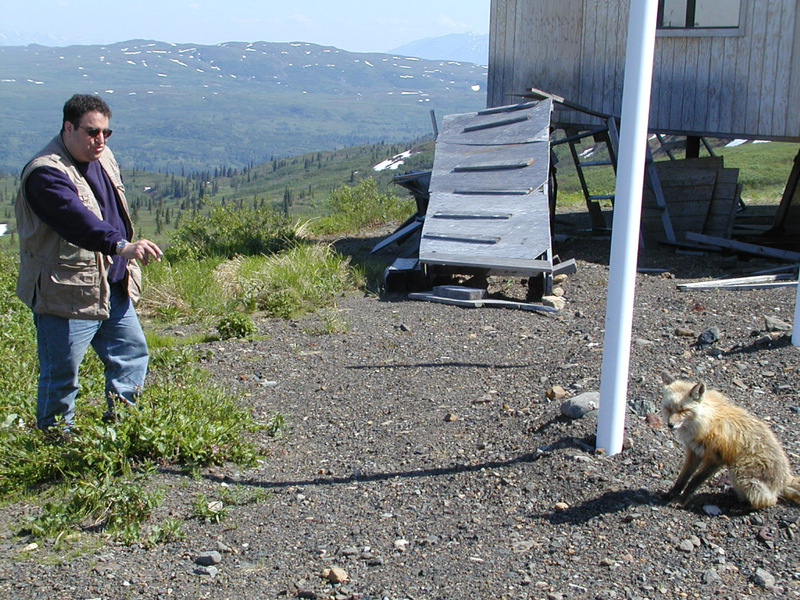 This article was originally published at DesertUSA, on September 14, 2013. 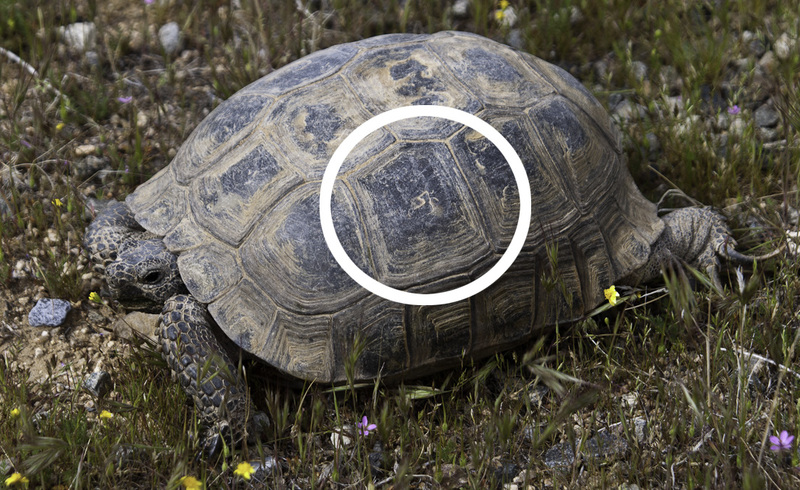 What is the probability that you will ever meet the same desert tortoise twice? 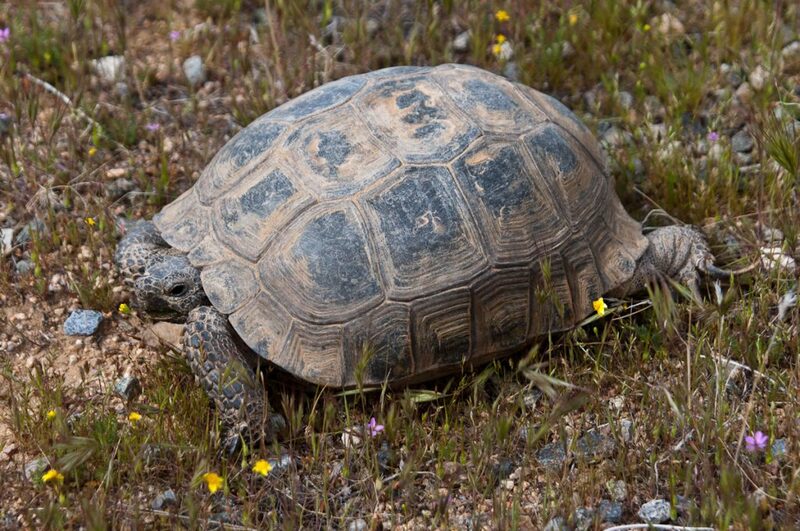 I guess the probability is pretty good if you happen to be visiting with the desert tortoises of the Desert Tortoise Natural Area (DTNA) in California City, CA. 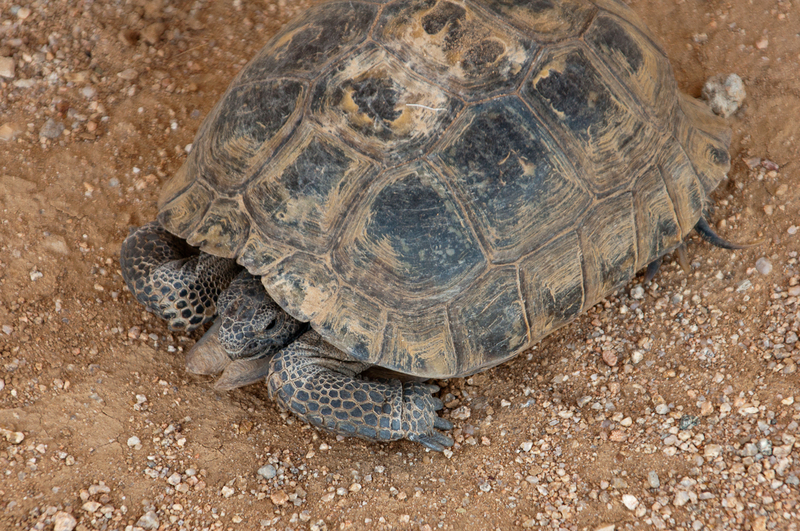 It was in April 2011, in the parking lot of the DTNA, that purely by accident, I had the pleasure of meeting the female desert tortoise that goes by the name Starfoot. A docent pointed her out. I would have drove right passed Starfoot if she was not pointed out to me. Watching and hearing Starfoot scrape her uniquely deformed claws against the parking lot floor as she walked around, was intriguing. 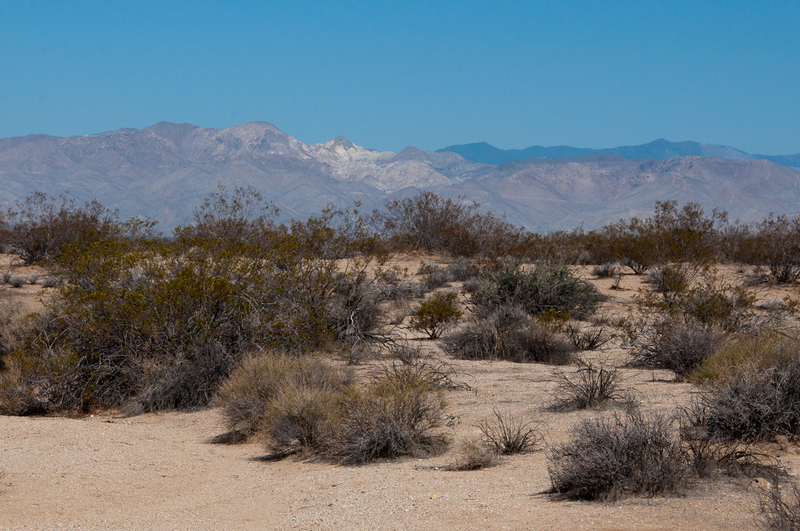 Two years later, in May 2013, I took a ride out to the DTNA in combination with a very successful desert bighorn sheep search out at Zzyzx. 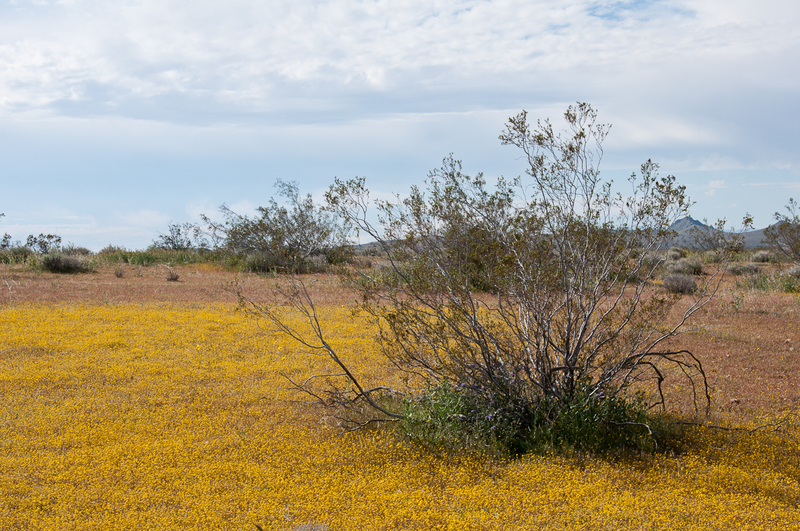 As usual, I spent the previous night in Mojave, CA. This way, I was able to arrive at the DTNA around 8AM. 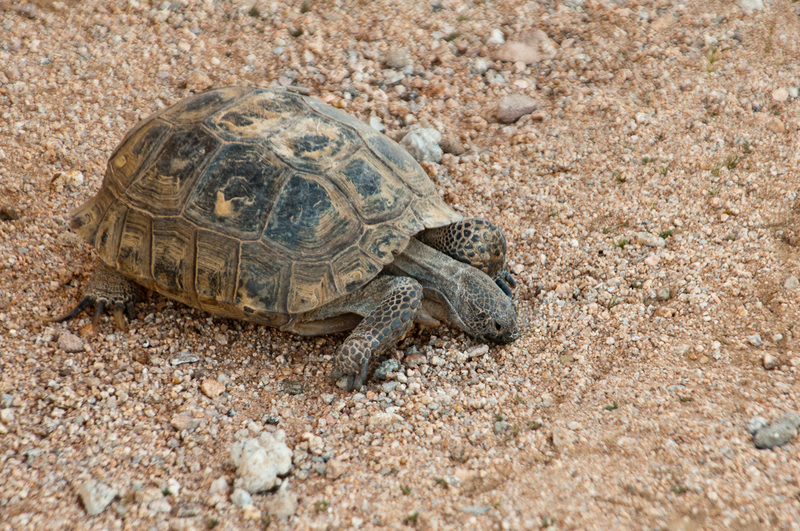 You want to arrive early because the tortoises go back to their dark and cool underground burrows as the desert temperature skyrockets throughout the day. 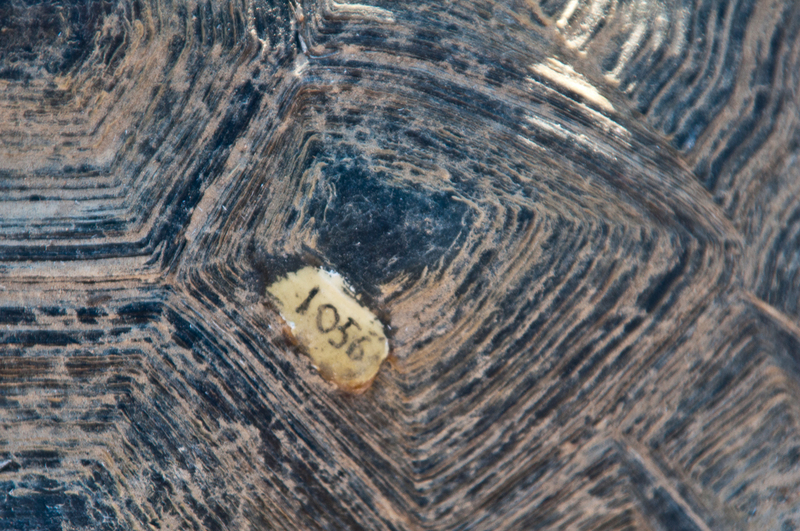 Shortly after arriving at the DTNA, I spotted Tortoise 1056; near the information kiosk. I took about 100 pictures, checked my water supply, and started to walk through the dry, dusty, and pretty miserable grounds of the DTNA. 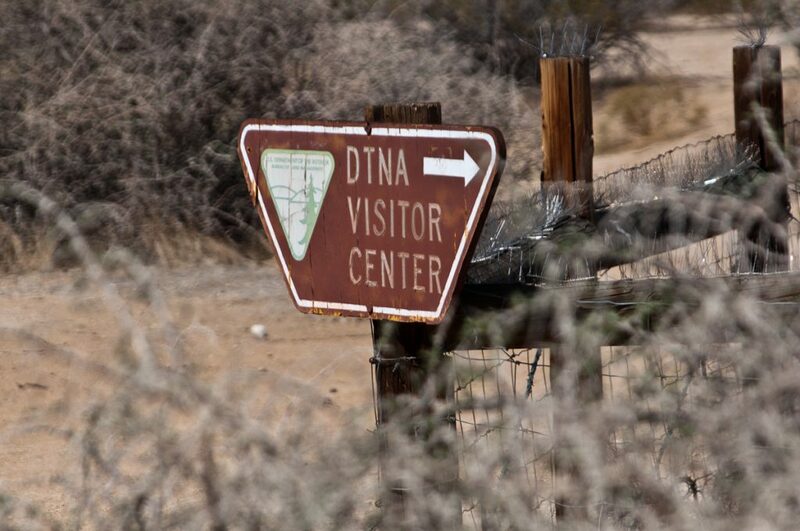 This is not an insult to the upkeep of the DTNA, but an acknowledgment that the DTNA is out in the middle of the harsh and inhospitable western Mojave Desert. 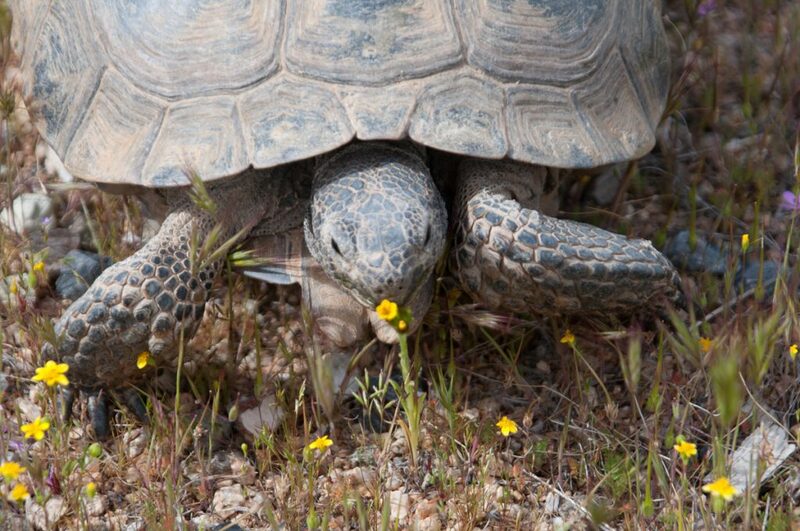 I did not see any other tortoises while walking the nature path and I could barely move my camera fast enough to catch the lizards darting from creosote bush to creosote bush; trying to minimize their time in the sun. 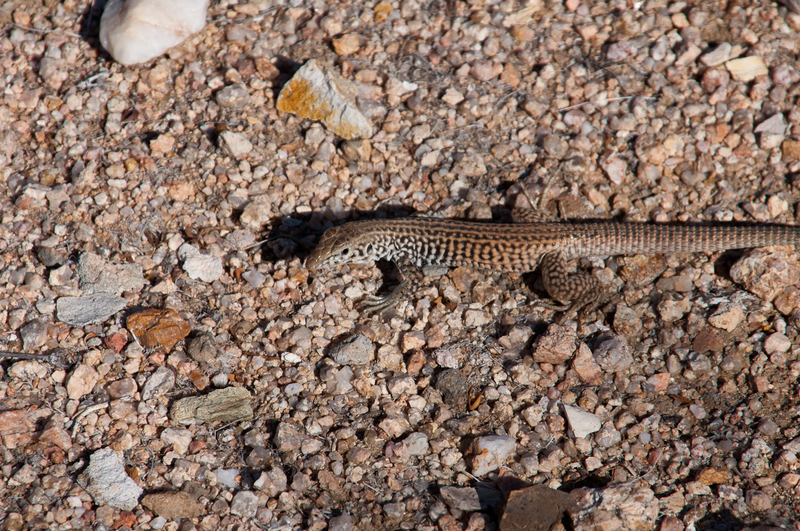 At first, I listened to music while I roamed around, but ear buds and music muffle the sounds of the small animals running around, making it even that much harder to photograph desert creatures running from the blazing sun to the shade of bushes. When I made it back to the shade of the information kiosk, suddenly a slight breeze combined with the shade made the weather almost tolerable. 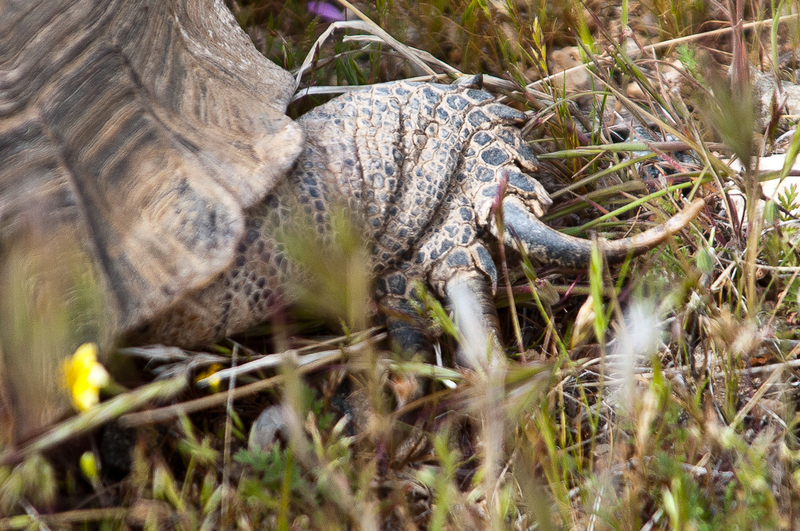 The docent pointed out there was another tortoise searching for food. 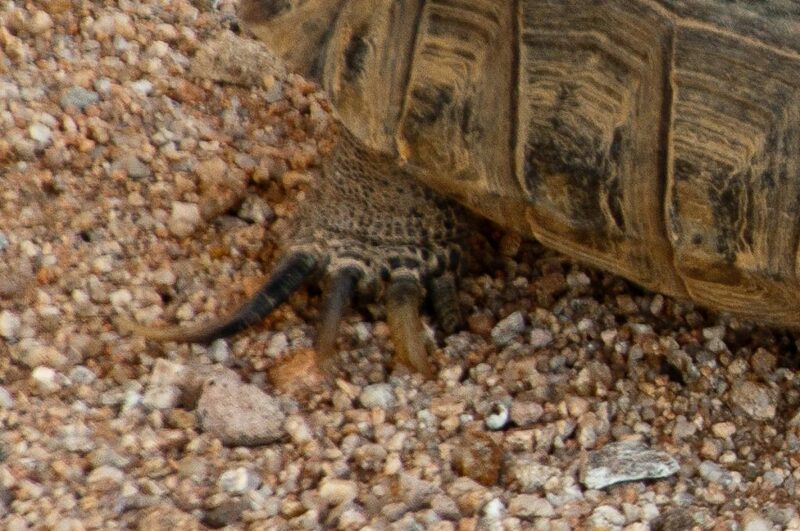 When I spotted it, low and behold, there were the crazy feet of Starfoot. Despite my having met Starfoot before, two years earlier, Starfoot was not very open to conversation. I may have been deemed a people person by some wacky industrial psychiatrist in Grand Rapids, MI once, but Dr. Doolittle I am not. There are several interesting things to notice between these sets of pictures taken at the DTNA almost exactly two years apart. First, there was much more plant and wildflower matter at the DTNA in 2011. The 2013 docent told me rain had been very scarce the previous winter and so the entire reserve was well dried out. While in 2013, we see Starfoot nibbling at the sand, in search of anything to eat and any drops of water; in 2011, she had plenty of greenery to chew. 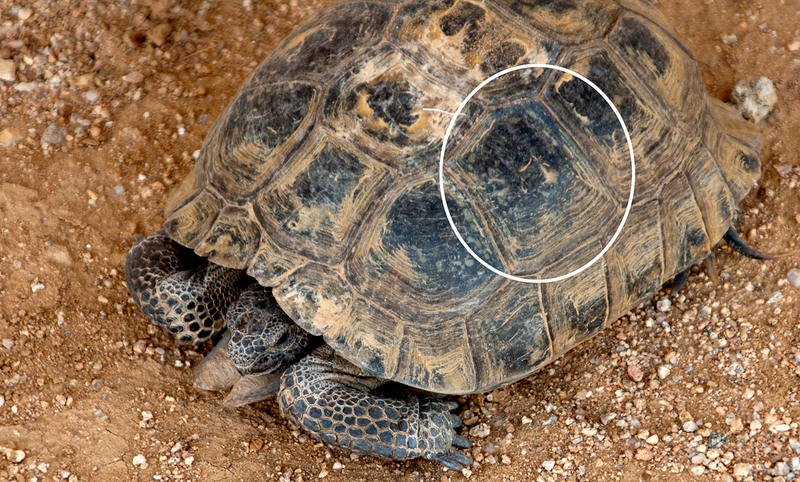 Second, Starfoot's shell has apparently taken a beating in the rough conditions of the DTNA. In the 2011 photos, what looks like the number 59 or 55 can be seen as carved/scratched in the second costal scute (individual shell plate) on the right side (in the picture) of Starfoot's carapace (shell dome). That portion of the shell seem to have been damaged. Weathering on the dome plates is obvious in the later pics. I hope to see Starfoot again in spring of 2014.